Expats in Manila share the same sentiments; the beauty of the Philippine Islands is awe-striking, the cost of living is much less than what they normally have in their home country and the people are friendly, easy to get along and communicate with. Indeed, the Pearl of the Orient's capital city of Manila opens the door to an expat's new home in Southeast Asia. The city of Manila is geographically located on the Luzon Island; it is found on the shores of the historic Manila Bay and covers an expanse of 38.3 kilometres of land. 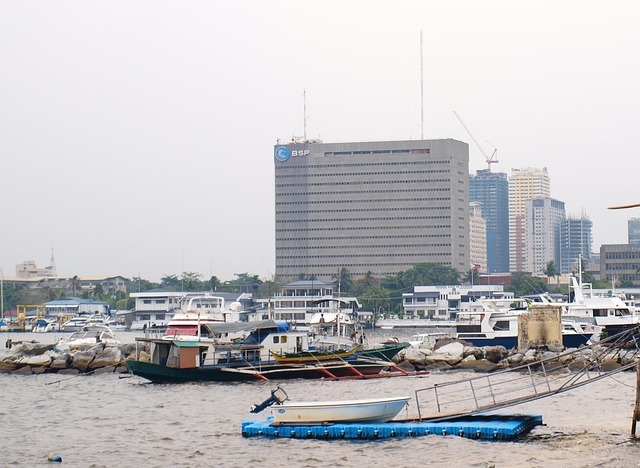 Manila's downtown proper is positioned at the mouth of the Pasig River. The city's main commercial fare is situated on the sides of this river. On its north bank is Escolta, Manila's commercial district. Also in this area is Chinatown, which is the largest Chinese community in the country and the country's seat of government, the Malacañang Palace. Pasig River's south bank, on the other hand, houses the city's Walled City or Intramuros, which was built by the country's Spanish conquerors in 1571. Manila's year-round climate is characterized by only two seasons: wet and dry. With the Philippines being situated very near the equator, the lowest temperature reached is 20 °C to highs of 36 °C. The tropical monsoon climate in Manila means hot summers in the months of March until May, and the rainy season starts from June and continues until around November to December. 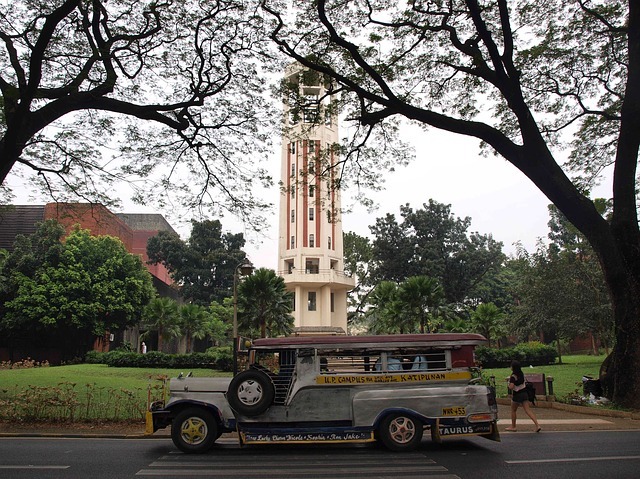 Manila is packed with a rich culture, exciting activities and historical sites. More so, it is also packed with 1,660,714 inhabitants, giving it a population density of 43,079 people per square kilometre. This number is far higher than that of other global cities in the world like Paris, Buenos Aires, and even its Asian neighbor Shanghai. The city is subdivided to 16 geographical districts, with eight each on the north and southern banks of the Pasig River. Tondo is the most densely populated area. Manila has been tagged as a global city by the Globalization and World Cities Study Group and Network, which makes it an important contributor to the global economic system. With its diverse offerings, Manila is one of the Philippines' main economic or business zones. Manila is considered as the country's chief seaport. It is also the home to many daily newspapers and book printers, making it the country's publishing center. Tourism is definitely a flourishing industry in Manila, attracting an average of over one million visitors every year. Shopping malls and commercial centers dot the capital. The sprawling SM City Manila, which is part of the country's largest chain of malls, is situated just behind the local city hall building. Industries such as manufacturing also thrive in Manila. Products manufactured in the city include chemicals, textiles, clothing, and electronic goods. There are also factories that manufacture food, beverages, and tobacco products. Always take into consideration that the country's general climate is tropical: wet and dry. This simply means you can leave your fur coats and snow boots at home. Do pack clothes with light fabric; shorts and jeans are necessary bottoms, while sleeveless or short-sleeved shirts and cotton tops are must-haves. An umbrella is always advisable to carry around, not just in your luggage, but also in your daily bag. Even though Philippine summers are hot and dry, you never know when it's going to rain. And as is common in most tropical countries, especially in Southeast Asia, mosquitoes are inevitable housemates at times. Though Manila is not near any dense forest for it to be outwardly dangerous to be bitten by a mosquito, having mosquito repellants in your handy pack is always a good thing. Unfortunately, Manila is densely populated and heavily polluted. Always make sure to have a hanky ready to shield your nose and take Vitamin C to help ward off respiratory illnesses like colds and coughs, which are most common in Manila. Bring an adapter as the city uses 220 voltages, although these are usually available in stores in Manila. The old city of Manila has been ruined by wars, and it may not have its usual glory. Nonetheless, the modern Manila is a global city, which many expats find to be a slice of their own paradise. Manila is the capital of the Philippines, an archipelago of 7,107 islands located in South East Asia. The metropolitan or also called Metro Manila is the country’s centre of economics, politics and business where many international and huge local companies are scattered across Makati, Ortigas, Alabang and Bonifacio Global City in Taguig. Many expats choose Manila as their primary destination because of employment opportunities waiting in several sectors such as telecommunications, IT, service, finance and banking. This city is also the best place to experience the nation’s urban culture and witness its unstoppable journey towards global modernisation. So if you are decided to find out what lies for you in the heart of the 'Pearl of the Orient', here are some guidelines that’ll assist you in your transition. Manila is a huge city so its best that you start looking for a place to live even before you arrive. Some websites post real advertisements in the town including their photos, locations and prices. You can create a list of potential accommodations so that you will have an idea how much to budget and where to start. Once you get in the city, you can start looking at local newspapers for listings or ask around fellow expats if they have any referrals. However, the most efficient way is to contact local real estate agencies which you can find online. Their familiarity with the city and connection in the housing market can help speed up your search. Utilities are not included in the rental payments so you have to budget around €80 monthly to cover your water, electricity, and gas expensed. Maintenance like trash collection usually doesn’t have any cost because there are garbage collection trucks which are funded by the local government. Currently, there is no unlimited data for internet connection in Manila, but you can get the highest data allowance which is 50GB and costs around €60 per month. Mobile service is provided by several private companies where local prepaid calls are charged at €0.14 per minute. Detached homes in guarded villages, high-rise condominiums and apartments are the most common types of housing in Manila. You have an option for a short term and long term lease agreement, but the standard contract is usually a minimum of one year. Manila is a very populous city with limited outdoor spaces unless you are going to live in an upper class gated community. 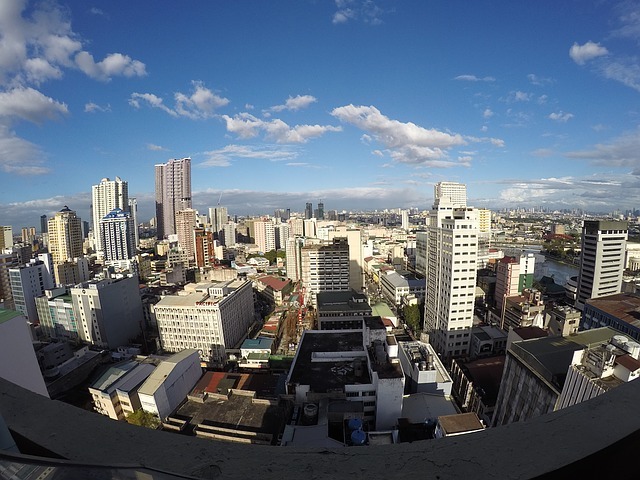 Most expats are living in Makati, where they are conveniently near the business hub and amenities. The price of a one bedroom apartment in this district starts at €450 per month and €900 for a three bedroom unit. You can also find many accommodations outside the city centre where a one bedroom flat usually costs €200 monthly, and a three bedroom unit is roughly €400 per month. There are many private schools in Manila that provide high-standard of education and use English in teaching. But if you are only in the city for a short period and want your children to continue with the curriculum from your home country, you can consider enrolling them in the International School Manila, one of the leading institutions that follow the International Baccalaureate Program (IB) in their curriculum. Filipino is the mother-tongue and primary language used in teaching for many public and local schools in Manila. Expats who are staying in the city for an extended period have the option to enrol their kids in one of these institutions so that they will be more integrated into the local culture and language. The University of the Philippines is a highly-regarded local university where many locals and foreign nationals are studying because of its excellent reputation in education. You can purchase almost anything and everything in posh shopping malls, tiangge (bazaar) or Divisoria a famous market in Manila where items are sold at very low prices. But if you are still going to bring some of your belongings, it's best that you hire the service of an international shipping and removal company. They have a door to door service to Manila where their team will facilitate the whole moving process for you. It takes about 46-57 days for the containers to arrive in the Port of Manila where local customs are going to conduct an inspection of the cargos. Click here to learn about the city’s import regulations. Pets are allowed in Manila as long as you obtain an Import Permit from the Bureau of Animal Industry 2 weeks before the import. You also need to present your passport, the pet’s Rabies Vaccination Certificate and International Health Certificate to customs upon arrival. Jeepneys, buses, taxis, rail transit (MRT and LRT) are the most common types of public transport in Manila. There are many commuters in the city so you have to prepare yourself for the congestion and long wait line. Driving is also a more convenient option but patience is much needed because heavy traffic has always been an issue in Manila especially during rush hour. As of the moment, only returning citizens and Diplomats are permitted to import their vehicles to the city. You might experience culture shock the moment you arrive because of the metropolitan's noise, fast-paced vibe and massive population. Also, please refrain from bringing thick winter clothes because the climate can be scorching hot especially during the summer season. But overall, Manila is an attractive place to live. It might lack in natural scenic views, but this place is blessed with locals who are widely known for their hospitality. The Filipinos possess a kind heart and resilient soul that you will witness as they face adversity and battle to survive each and every day. Manila is the capital city of the Republic of the Philippines that was established on the 24th of June 1571. Aside from being the home of around 1.78 million people, the country's second-largest city also houses several important cultural and historical landmarks. Tourism has always been a vital industry in Manila but for the past decades, it also became a favourable destination for expats who want to live in the Pearl of the Orient. Manila is among the 16 cities that make up the National Capital Region (NCR) which is also known as Metro Manila. Aside from being one of the most famous cities in the country, it is also known for role significant role in commerce and for being the headquarters of the executive and judiciary branches of the Philippine Government. Expats should be aware that there are only two seasons in Manila: the wet season that runs from April until May and the dry season which is from June to October whereas the latter is characterised by humid air and scorching heat all day long. Manila is abundant with attractions that showcase the rich Filipino culture and history. One of the top choices for expat parents is the MuseoPambata which was inspired by the Boston Children’s Museum. It has interactive exhibits that allow children to learn while having fun. Other spots in Manila are the Bahay Tsinoy and the Metropolitan Museum of Manila. There is also the Manila Ocean Park which is a world-class marine theme park that includes a premier educational facility, marine life attractions and an aqua-themed hotel. Some other educational and historical destinations in the city of Manila are the Luneta Park, Intramuros, Bonifacio Shrine, China Town and the Coconut Palace. Traffic congestion in Metro Manila is problematic. Expats are advised to be in their maximum tolerance when driving around the city especially on the most travelled roads and pathways. International driver’s license is not accepted in the city and due to heavy, slow speed traffic, drivers could be a bit irate, and there is the possibility of being caught in an accident. If this happens, expats are advised to always bring their car registration, car insurance policy and official receipt with them at all times. On the other hand, it could be better to understand the public transport which is consisted of buses, jeepneys, taxis and train. Carpooling, as well as other car services such as Grab and Uber, are also common modes of travelling in Manila. Maintaining a bank account in Manila can be very easy as there are lots of local and international banks in the country. For expats, they normally prefer opening an international account for their money exchange needs. International banks in Manila are HSBC, Citibank, Standard Chartered Bank and Bank of America. There are also major universal and commercial banks in the city in which foreigners may choose from the Bank of the Philippine Islands, the Banco De Oro Unibank, Metropolitan Bank and Trust Company (Metrobank), the main government bank – Land Bank of the Philippines and Philippine National Bank. Filipinos are hospitable and fun to be with. Culture shock is not really a problem if expats are in the perspective of adjusting to the way of life in the city and the kind of welcome they will receive. Communicating with locals in the country would not be a problem since English is the nation’s second language. Filipinos are also flexible and are willing to blend in with any culture. One of the first things that expats will notice once they get around Manila is the disturbing number of homeless people, informal settlers and street crimes. It is undeniable that poverty has always been the enemy that the local government continues to battle. However, amidst the face of financial adversity and drastic fight for change, the Filipinos remain resilient. Foreign nationals will soon realise that though Manila is not yet at par with Tokyo or New York, it is still a great place to live because its real wealth lies in the brave hearts of its people.